My regular readers may or may not have noticed that I finally added a Hire Me Tab to GrowMap. This is something that every blogger who has services to offer – and that would be more of us than you might first suspect (read on) – should have a page dedicated to any skills they have developed that they wish to use to benefit others. Kiesha wrote a blog post last January on how to market your services that provides tips on how to create your page and what other steps to take to improve your blog and maximize your potential for generating paid work. I used her tips to make sure I didn’t forget anything on my own Hire GrowMap page. If you don’t share what you have to offer, your readers will never know they could have hired you. Even more importantly, when you publicly post what kind of work you’re interested in your social media savvy blogging collaborators will know what kind of inquiries to send your way and when to recommend you. NEW: Kristi Hines ~ @Kikolani ~ one of the most popular bloggers we know and love and a very close collaborator of mine announced Oct 31, 2011 that she is now accepting work as a Freelance Writer and Online Marketing Consultant. Michelle Mangen ~ @mmangen ~ Michelle (with two ls) offers Virtual Assistant Services of all kinds including virtual bookkeeping, creating Excel spreadsheets, social media management and admin tasks. She has many exceptional recommendations on LinkedIn. Michele Welch ~ @NewBizBlogger ~ Michele (with one l) offers Online Business Training and WordPress Installations. Donna Fontenot ~ @DonnaFontenot ~ Donna has separate sites for her eBusiness Coaching and WordPress installation services and links to them from her primary blog. Donna Anderson ~ @SheWritesALot ~ This Donna is a freelance writer offering her skills to businesses, online newspapers, and other bloggers. Neal Schaffer – @NeilSchaffer ~ Contact Neal about his Social Media Workshops or consider him for your next Social Media Keynote Speakers gig. Marshall Sponder ~ @WebMetricsGuru ~ No one I’ve seen knows more about Social Media Analytics, Monitoring and Measuring Solutions than Marshall. Check out his new Social Media Analytics Book. ask those who contribute on the blogs they read most. YOU have to make it OBVIOUS when you are interested in offering blog outreach services or becoming a paid or regular contributor on other blogs. If all of these bloggers share what they do, why shouldn’t you? I encourage you to get your information published – and soon. P.S. It is best to put specific prices on your services. For reasons WHY read my post on How to Get More Freelancing Work. P.P.S. Did I forget to include your hire me page OR did I link to you and you would prefer different anchor text? Just let me know and I’ll edit this post. Hi, I’m Jamie – Director of Outreach at Scripted.com – for writers, we have a ton of paid work at the moment. For content buyers, we have flat-rate purchase options for blog posts, tweets, and other types of content! We hope you give our service a shot – feel free to reach out to me directly with any questions at jamie@scripted.com. Well it gives the distinct idea that you actually want to be hired. Having a contact page is well and good but having a “hire me” page is just more effective because it sends the message immediately of our purpose. People want a direct message, it sure does give that impression. I think the hire me button for me is just as practical as anyone can think of. Let us just be honest that this is the part of our site that we also wanted to be noticed by the people who visits and notice our site. For me this is a very good topic to raise which is you will only see a few sites who doesn’t have this option. Don’t know why bloggers are so shy about highlighting their skills. IvanWalsh would love you to read ..Aweber v MailChimp – which is best value for money? I don’t understand that this isn’t standard procedure. Luckily we have Gail to wake up the sleepy children in the back of the class. Many people have trouble with setting a price and displaying it, but if you don’t show your price then people might assume you are out of their price range, or they believe that getting someone else to do it is expensive anyway. So when they see your price they can either be pleasantly surprised or they think it’s too expensive and they wont bother you with it. If you don’t display a price then the people who assume high prices or don’t know might move on. And you might still get a lot of emails from people who, after you invest time and tell them the price, find it too expensive. So it is more efficient to put the price on your site for all to see. What a great idea for bloggers, and an awesome way for promotion of what you do. This is a great idea, assuming you have the time and resources. I know I’ve been to a lot of sites and thought, “I wish I could have a site like this.” I doubt I’m alone here. This is an amazing way of inviting opportunities, wonder why didn’t I think of it before. For a very long time I have been providing content for free and was trying to earn some money out of it. Hobby can also make you earn well after all. I guess this hire me tab is a great tool and I would employ it right away. Thank you so much! this makes a lot of sense. i think you are right, just knowing that your services are available can go a long way, especially if your blog has a decent sized following. That’s a great tip for bloggers. I will place a hire me tab when I started getting a reasonable traffic to my new blog. I couldn’t agree more. Putting yourself out there is one of the best ways to find new clients. If you’re shy you can end up coming into close contact with potential clients without even realising it. By telling them what you do and how you do it, you’re letting them know what you are capable of. That’s certainly good for business. Thanks for including me in your wonderful assortment. I do media coaching. Not social media. I am thrilled – and appreciative. This is a very good way of inviting opportunities in the form of prospective clients. We may use our online marketing skill right from home and get hired. This is new and sounds interesting to me. I would try it on my blog and see the response. If favorable, which I am already expecting, I would suggest it to my friends as well. Thank you for this great and simple idea. good post i didnt even kno that people could hire bloggers sounds like a really sweet job! thanks for this post.. will put a “hire me” on my blog too..
Another great idea for bloggers and a great way for businesses to get the word out. I would have thought the return on investemnt would be very high when picking services from the right blogs and if those blogs do not advertise those services then how are businesses to know they are available? Placing a hire me tab is not that really bad. I think It would be easy for you to get a client and potential client feels comfortable to approach you. Just be very specific of the services that you want to offer. Service rate can also be included. Nothing really bad with that. April would love you to read ..Bank Owned Condos In Last Blog Snapped Up By One Buyer! It was very nice to go through. I appreciate your saying. This will be really very much beneficial. You can get more and more efficient workers and also enlarge your network and it is very necessary to keep these type of offers in a blog. It will also attract bloggers. Thank for sharing. Hey there – I couldn’t agree more. More and more companies are spending time online to try and find bloggers that are dedicated to their craft and are writing posts on a consistent basis that are informative and helpful to their readers. In the end – why not right? Great tip and thank you for sharing! Internet Marketing is a very wise and effective way to earn money. Putting a Hire Me Button on my blog can help increase my chance of having a job. I just have to make sure that my blog is unique. I should write informative and entertaining blogs so that a lot of visitors will see my blog. This is a perfect way of doing what you enjoy like writing. It’s like hitting two birds with one stone. You write while you can earn money. Nice one blogging!! Susan would love you to read ..Reasons Why Online Dating is Fun! I think it’s a good idea, Gail. Even if it may be a little intimidating at first, I think we should place a price on our services. It reminds me of the saying about the chicken and the egg. We have to place our rates so people can consider hiring us, or to be professional, we have to state our rates. Something like that. Anyway, I think it’s not a problem if you want to change your rates later on, it’s just a quick edit. 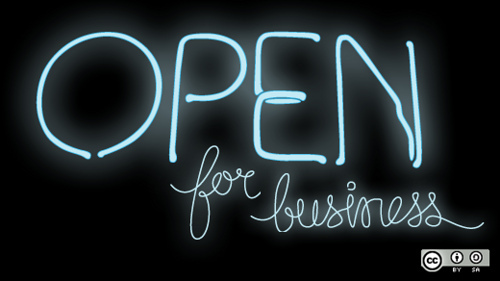 The important thing is that people know that you’re open for business. Good tip. It’s one of those things people tend to put off. This is another opportunity for potential bloggers out there who deserve another chance to work with competitive companies. Good luck! It is a good business technique to build online community.Actually it the way of technique of promotion of online business. I thought about that when designing my site, but ended up on not putting it at all. Reason? I have a day job and that will drive my boss crazy! lol.. Btw, nice blog! It is true that only bloggers that are further along with their blogs usually have hire me tabs. As you can see from the examples I gave in the post, they are highly popular bloggers. I never recommend anything I don’t believe is a good idea – and I almost always discuss new strategies with multiple other established bloggers before I implement or write about them. I often link to your services pages but your name didn’t immediately come to mind as I wrote this post. Vernessa has been working on my primary PC for almost nine hours straight and my backup PC won’t boot up. I’m typing this on an ancient PC I had stored and it is sooo sloooowwwwww. I’ve been watching for you on Skype because I need to discuss using our ebook. I would have emailed, but email problems are what Vernessa is trying so hard to get fixed. When you’re on Skype again please connect with me. I am very glad to read that very famous bloggers are offering their services. I think all these are good teachers also. Many bloggers supplement their income by ghostwriting, doing blog outreach or SEO work, or creating content for other blogs, businesses and individuals. That is why they could almost all benefit from a Hire Me tab – IF they want to accept paid work – because most people will not ask otherwise. I suspect you’re going to run into a trademark issue sooner or later. I think that we can place such button even if we don’t provide any services – maybe someone will offer you something really attractive after reading your posts? If you don’t want to offer any services you don’t really need a Hire Me tab, but you could consider referring your readers to those who services you can whole-heartedly recommend. Many bloggers don’t think about the fact that that must have at least ONE saleable skill: writing. Hiring someone who earns your trust is great way to continue to make a good blog. It is not only you have the knowledge and great dedication in writing blogs that is why it is important to hire someone who will share the ideas you haven’t heard before for a continuous sharing of opinions in the blog sites you are working on. Each person who offers services has to earn trust. When we hire someone and they d a great job, we need to be willing to recommend them. You never really know for sure until you actually work with them. I think its obvious to add a Hire Me tab to your blog as you have said, everyone will have something or the other to offer. Someone we don’t think of – or get around to – “the obvious” – until someone reminds us. There have been comments and tweets saying thanks for this post from bloggers who are adding their hire me tabs because of it. There are many people, full of talent, who can be of great help in maintaining your blog. With all the SEO and stuff like that going around, you probably don’t have much time left to “take care” of your blog, and there is no harm in having a helping hand as long as you hire someone trustworthy. I hope that more businesses will realize that many of their favorite bloggers ARE interested in writing about them or at least accepting their guest post (as long as it is related to what their blog covers). Did you see my post about adding a geographic aspect to each blog? By doing that you do not eliminate having a worldwide audience, but you DO increase your local reach which can make your blog attractive to related businesses. For example, if your plumbing blog covered a specific area it would become the perfect place for plumbers and plumbing suppliers in that area to advertise and be written about for blog outreach. Those are both excellent ways to increase a blog’s income. More on that idea in the post I’ve shared in CommentLuv in this reply. Well, it was really nice hearing from you! Well I haven’t read your article till now, will surely have a read ! Thanks for including me in your post. I have always had a services page but didn’t start posting my rates until right around Thanksgiving. I opted to share my rates (and to encourage people to check them out prior to contacting me through my website form) in order to reduce the number of inquiries I was getting from people who were hoping to hire a $25/hr Virtual Assistant. While there are most certainly VAs out there who only charge $25/hr I’m not one of them and I’d rather spend my time working with fewer inquiries from those who have already overcome the price hurdle. It also allows the business owners looking for a Virtual Assistant to spend their time more wisely as well. There are def. pros and cons to having pricing listed on your site but everyone should certainly add a services page. (I have to update mine as a matter of fact). Thanks again for placing me in your examples list! I appreciate it. I absolutely believe it is essential to share your rates – and whether your services are specific to Enterprise (large corporations) or small businesses. As you mention, this qualifies the prospects and saves both you AND them much time. When I did pay per click advertising I discussed this with companies that offer only Enterprise solutions ALL the time. They did not want to specify that what they offer was NOT suitable for small businesses. That never made much sense to me – especially when you’re paying by the click! Many of the best thinkers know there are so many variables that they don’t want to have set prices, but they need to understand that buyers need SIMPLE decisions – and that especially means price. WordPress is a great option to start a career if one has the potential to do. Blog is ideal for people who love to write and click pictures. Wish you good luck. I landed this page from Krist’s Friday Mashup. Thank you for sharing that you came here from Kristi’s blog. Kristi and I are long-time collaborators. Once bloggers and small businesses really start understanding HOW and WHY they should work together there will be much more opportunity for both. We should also be sharing how to use social media with them. As readers of Kristi will know, Promoting Blog Posts is just as essential as writing them. Thank you for this precious advice. Indeed, one of the things that make a blog successful is to offer stuffs to attract your readers’ attention. Great tip. I think a blog is definitely a great way to market yourself, and differentiate yourself from the competition. simply writing will not differenciate you from your competitors. your blog should be more than just a thing to differenciate yourself. it may bring you more customers than you ever had in your life! but it will only bring success if you use it professionally (or hire professionals). Of course, it is helping people while they help themselves. Nothing wrong with freelancing and drumming up a little business. It is a tough competitive world though. But, you never know. If you are looking for or available for additional work at least let your viewers know. You never know what might become of it. Yeah! Good job. You may want to be more specific about your personal coaching to overcome limiting beliefs work and what it costs. You definitely want to decide what keyword phrases to target. Read the post I’ve put in CommentLuv for a how-to on that. I can see pros and cons for displaying prices, and it often depends on the type of work you do. I’ve known web designers, for instance, who have tripped themselves up by advertising fixed prices, without being specific enough. But once you start specifying, it can get too wieldy on the page, and lose potential customers – sometimes you need a conversation before you can quote a price. Interesting point… I’m still working on promoting my new blog but once we gain momentum, I actually plan to add “Services” page, as it will be more appropriate to my specific situation. Its not always easy to keep your blog running by yourself and many a tie you need assistance from another people. Its no harm in having a helping hand in times of need, and when there are plenty of other people willing to do so. After an engaging visitor experience and insider tips over a blog, this might be an interesting thing to have to market your own services on a blog post. I think it is a very nice idea to place that hire me tab. Who knows who are for hire and who are not. It’s an easy way to access the best freelancers. Great move for this blog. It’s interesting to see other people’s take on providing services based on experience as a blogger. Well written post, good points. I agree, there should be proper call for action button on each page. We should remember that each page should be treated as a separated landing page. There is never too much to get the potential client asking about the project. Great post! I’ve never really thought of this, but it is a good idea. Many bloggers are always advertising for others, but never really advertise themselves. They know their own talents best, though, and can promote themselves appropriately. I have a consulting page with services and prices and this does not seem to sway potential clients. Sites that list their prices upfront get my business. Very true – if you’ve got it, you’ve got to flaunt it, and that includes your services! Now those people who are already impressed with your content and are learning from you will know they can make the next step in hiring you to help their blog or business – a win for both parties! It’s coming….it’s coming. I used to have a page that displayed all my services, including prices, but took it down. I did so since I’ve decided to make something bigger than just a page for my professional side. I can’t elaborate since I’m not sharing that with anyone just yet…but it’s coming. Even without the page, I’m still getting a ton of clients. I’m certainly not complaining, but when there is client work to do, all else is put on the back-burner, obviously. Ah, wonderful times we live in. I just blogging without any service to provide, then there’s nothing to offer on the hire me page. Should I have one ? Awesome post and thanks for including me on it! Glad to hear you’ve finally jumped on board with adding your services page. You are an invaluable resource and any one would be lucky to hire your services. Best of luck and knock’em dead! Prices, oh those pesky things! Most freelancers I’ve noticed feel uncomfortable putting up prices. But I know that when I’m shopping around for consulting services, etc., if they don’t have prices right up where I can see them, it makes me as a potential customer really uncomfortable for several reasons. What if I contact them, and I have to commit before finding out prices? No way. What if I find that I *really* like what they have to offer, it fits my needs, we get along great, and they’re way out of my price range? Big disappointment. Thank you so much for saying that! We should always think about what WE do when use sites – and apply that to what we offer. I’ve also noticed some bloggers putting a ‘Hire Me’ banner on their sidebars which I think is a smart way to promote and market themselves. Well, their blog is already their portfolio of some sort so it’s not the hard to get noticed and hired. This is so obvious when you think about it, many people are actually blogging about how to make money or even how to make a living online but are not even using that medium to push the services they offer to people who are activly interacting with them and more than likely quite interested in the services that they have to offer. Time to add a page to a couple of my ongoing projects.